I am honoring Michael Lynch for the 2996 Project. Problem is, there is more than one Michael Lynch! 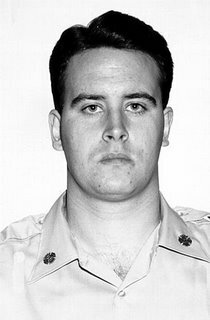 I had the pic of one assigned to me by the project and then a family member of the other contacted me through my blog and thanked me for honoring her Michael Lynch. So, I have two to honor, well, that is just fine with me! Firefighter Michael F. Lynch, 31, of the Bronx, went into battle with a Manhattan engine company to which he was temporarily assigned. 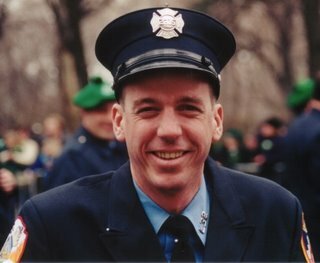 "Michael would have always linked himself first" with his home firehouse in the Bronx, said his father, Jack. If the family had its wish, he said, the memorial listing would read, "FF. Michael F. Lynch, Badge No. 2315, Engine 40-Ladder 35, on rotation from Engine 62-Ladder 32." "This accurately describes Michael's service with both firehouses," his father said. The Michael Lynch Memorial Foundation is a scholarship program. Its purpose is to provide grants to enable children of firefighters and other victims of the September 11 attacks and other fires and disasters to afford higher education. The Foundation is a 501(c)3 public charity and donations are tax deductible. In addition to general donations, the Foundation generates funds through various fundraising events and activities. Between 2002 and 2005, we granted 22 scholarships totaling over $400,000. Our commitment to give has been enhanced by strong fundraising. Tim, beautiful tribute to both of them.